Just 5 ingredients are needed to make this Crunchy Peanut Butter Snack Bites with Dates recipe. 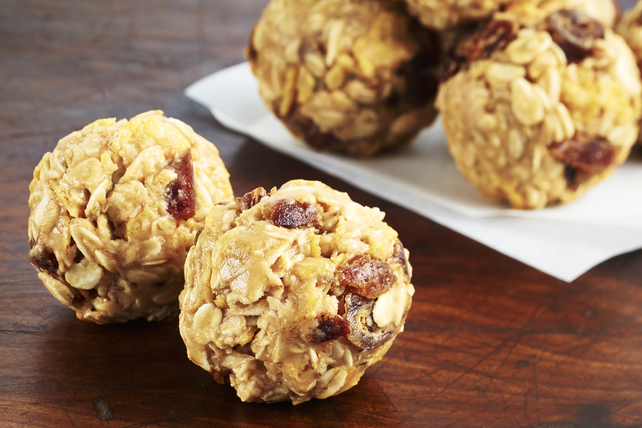 Crushed cornflakes and chopped dates add crunch and flavour to these easy-to-make treats. These easy-to-make Crunchy Peanut Butter Snack Bites with Dates can be refrigerated up to 1 week before serving. Substitute your family's favourite crunchy cereal for the corn flakes.